From the lofty belfry, our wonderful church bell continues summoning our congregation to worship every Sunday morning since 1887. Also during the decades resounding the joyful clamor of chimes celebrating Holy matrimony, the solemn toll of funerals, and beckoning calls of commemoration throughout our community. 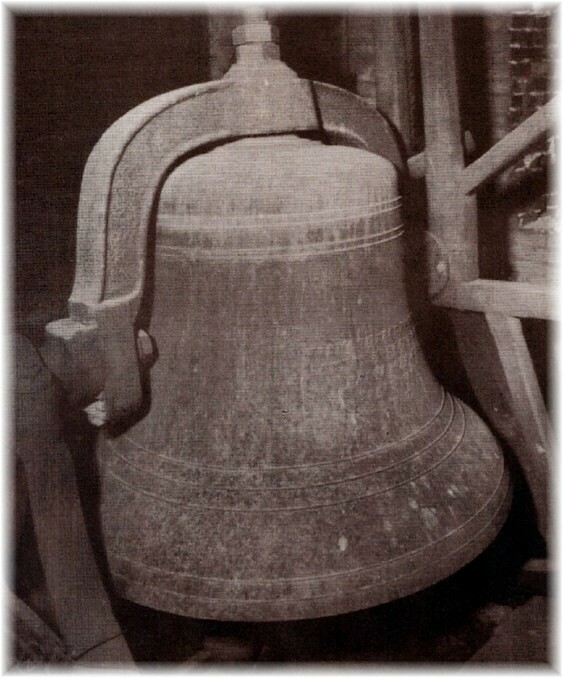 Our sturdy, steadfast old bell is a replica of our Nation's Liberty Bell! Weighing 2,080 lbs., ordered from the McShane Bell Foundry, Baltimore, MD. Records show the bell cost $355.59, with $12.67 for freight, $1.50 for drayage* and $4.00 for installation labor. The Ladies Aid Society made this purchase possible, as they raised the money for this special gift. 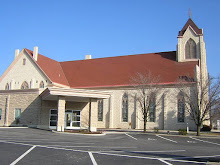 "Diese Glocke Wurde Bezhalt Von Dem Fruen-Verein Der Deutchen Evangelische Reformierte Gemeinde in Lima, Ohio, Beim Bau Der Kirche. A.D. 1887"
*The term "drayage" originally meant the transport of goods on a side-less cart, or dray. These carts were pulled distances by horses, with a fee considering physical limitations and care for the animals.